Roulette is one of the most exciting and dramatic games on the casino floor. The croupier launches a ball around the edges of a spinning and multicoloured wheel while a table full of gamblers watch with hopes of where it will land. The little wheel itself features 37 to 38 slots where a ball can land. The colours of the slots alternate between red and black and those slots are numbered from 1 to 36. The slots for 0 and 00 (the latter featured only in American roulette) are coloured green. Bets can be placed in many different ways. You can bet on the numbers, either a single number, range of numbers, combination of numbers or even whether the ball will land on an odd or even number. You can also bet on colors such as whether the ball will land on a red or green number. The tougher the outcome the higher the payout which can be as high at 35 to 1. Online casinos have added a new way players can enjoy roulette. From the early stages of online gaming roulette has been offered to give people a chance to play who normally may not have the opportunity to do so. Click to book your Las Vegas tours. The exact origin of roulette is not known with certainty but there are a number of likely theories regarding the game’s creation. One theory is that the game began in China. A version of roulette was played by Chinese monks who taught new people the game as they traveled the country. Dominican monks who had met with these monks from China then spread the game to Europe and other parts of the world as part of their own travels. The modern game of roulette may have originated as a cultural trade between different groups of monks. Other anecdotal evidence offers a theory that dates back to the Roman Empire. The Ancient Romans made a game out of spinning a chariot wheel on its side. Another theory on the creation of roulette is that it comes from a carnival game featuring a wheel that was a regular part of traveling carnivals in the 1500's. This sounds like a plausible theory except that this game doesn’t have much in common with modern roulette beyond the use of a wheel. While the early origins of roulette may not be known, the inventor of the roulette wheel is well known. The first version of the modern day roulette wheel was created by a French scientist and mathematician named Blaise Pascal. It was the 17 th century and some historians have said that Pascal’s invention of the roulette wheel came as a result of his quest to create a perpetual motion machine. But although historians agree Pascal was the man who created the wheel, there is some dispute over whether he had “sold his soul” to the devil in order to achieve its invention. This rumour came undoubtedly because the sum of the numbers on the roulette wheel (1-36) is 666, which is known as the devil’s number. Click to book your Las Vegas tours. The first evidence of a spinning wheel and a ball being used for the purposes of gambling was noted in England in 1720. That game was called Roly Poly and was played by members of the upper class including noblemen and royalty. England’s Gaming Acts of 1739 and 1740 banned gambling games including Roly Poly. A different version of the game was created to get around these laws. It was called “Even-Odd” and was introduced in Bath by Beau Nash who was Bath’s Master of Ceremonies at the time. That only worked for a short period of time though as it was banned as well in 1745. The revival of roulette would happen in France because of the French aristocracy. It was the late 18 th century and gambling houses were introduced again by Prince Charles of Monaco. He thought it would help an economy that was really struggling at that time. This version of roulette was very popular with the upper crust of French society and their royalty in the 1700's. This version also was very similar to the one found in casinos today. The very first modern roulette wheels appeared in Paris in 1796. They appeared in gambling houses and featured the numbered slots from 1-36 on red and black backgrounds. The rules regarding the placing of bets were also very similar to today’s version. Tough gambling laws came into effect in France in the mid-1800's which resulted in a couple of enterprising men, Louis and Francois Blanc, moving the game to Germany, specifically Hamburg, where its popularity continued to spread. The Blanc brothers helped to increase the game’s popularity further by inventing the single 0 slot in 1842. This invention of the zero slot on a green background had a tremendous impact on the game in the House’s favour. The Blanc family was also responsible for returning the game back to France, specifically Southern France. This time it was Francois and his son named Camille along with Louis. At the request of Prince Charles of Monaco III, Louis Blanc traveled to Monte Carlo to create and run the gambling house that would become the first casino in the modern sense of the word. It was in 1863 that Blanc signed a contract for 50 years that resulted in the creation of the luxurious Monte Carlo resort and casino. The wealthiest members of European high society flocked to the resort and roulette was again introduced to high society. 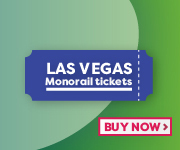 Click to book your Las Vegas tours. Because of the casino’s success Blanc was able to persuade French officials to build a highway to Monte Carlo and extend the railroad to Nice. This made the casino more accessible to an even wider group of people and resulted in the spread of roulette throughout France and beyond. Roulette crossed the Atlantic Ocean and showed up on the shores of the U.S. in the early 1800's. The game was brought over by European settlers that landed in New Orleans, Louisiana. The style changed in the American game of roulette though as those who were running gambling houses wanted to increase the odds to be even more in their favour which cause the game to lose popularity. The single zero game was then replaced by the double zero game and it was this version of the game that was popular for a period around the California Gold Rush. Gamblers took to it as a diversion from the card games which were the most popular forms of gambling at the time. Roulette remained popular around the world but particularly in France and America at the beginning of the 20th century right up until World War Two. Up to that time the roulette wheels were spinning, bets were being placed, and lots of money was changing hands. However, as the many Americans who served overseas began to be exposed to games like craps and blackjack and other games, roulette’s popularity again took a turn for the worse. Craps and blackjack became much more popular in America than roulette because gamblers felt those games gave them a better chance for success. Two different forms of roulette have emerged over the years because of different betting preferences. The roulette wheel used in the American version of the game has 38 numbers when you include the single zero (0) and double zero (00) along with the numbers 1-36. The adding of the double zero gives the House a 5.26% advantage. The European version has the numbers from 1-36 but only one single zero slot. Without a double zero slot that means the wheel only has 37 slots in total rather than the 38 of the American version. In this game the House only has a 2.70% advantage. Another difference between American and European roulette is that in European casinos, the croupier uses a long stick called a rake to gather up all the chips after a spin while American croupiers use their hands. Because of the single zero, roulette is much more popular in the casinos of Europe than it is in American casinos. Seasoned gamblers know that over time there is a much greater chance of success for them in playing the European version of the game. As online gambling and online casinos were beginning to develop it made sense that a version of roulette would be developed for internet users. This has allowed players from all over the world to play both versions of the game from home no matter whether they were based in North America, Europe, or elsewhere. At a casino the roulette table is often an exciting place with crowds watching and many other distractions. This is a major difference with the online version though one advantage of the online version is that if many people are placing bets at once, there can never be any confusion on the owner of a particular bet after the fact because the better and payouts are fully automated rather than done by a human croupier. The other major difference is of course the action of the ball travelling around the wheel and landing in a slot. Like many other online games, roulette uses a random number generator that allows the ball to land in slot after slot without any kind of pattern. Some people like the security of seeing the ball get knocked around a bit before it settles into a specific slot but if you are using a reputable casino there shouldn’t be anything to worry about. Many of the top online casinos will publish their odds to give the player a sense of how often it produces a winner. On the plus side many online casinos have bonuses which their land based counterparts do not have. These bonuses encourage a player to sign up with a specific casino. The bonuses help reduce the house’s edge a little bit by offering free money to the player (generally a percentage of whatever amount is deposited by the player on the casino’s site). 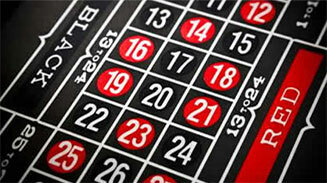 The online casinos have provided roulette with yet another comeback. The American players can now play the European version which gives them a better chance of winning. Because of its ability to be played online, players all over the world can now watch with great anticipation as the wheel spins, the ball drops, and winners cheer and the losers get ready for the next spin.